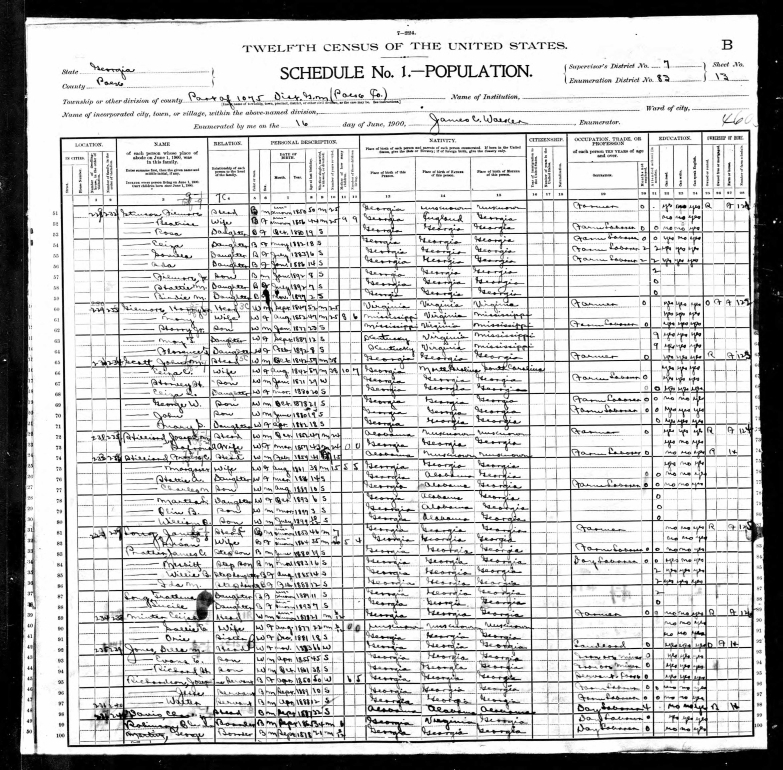 [S263] 1900 United States Federal Census, Database online. 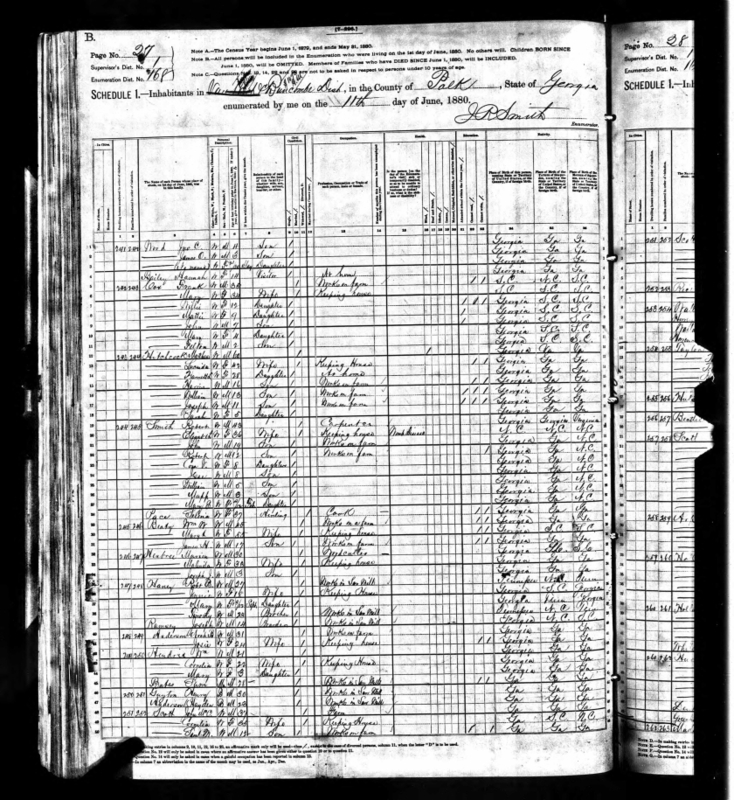 Year: 1900; Census Place: Cedartown, Polk, Georgia; Roll: T623_31077_4120079; Page: 13B; Enumeration District: 0083; FHL microfilm: 1240216. 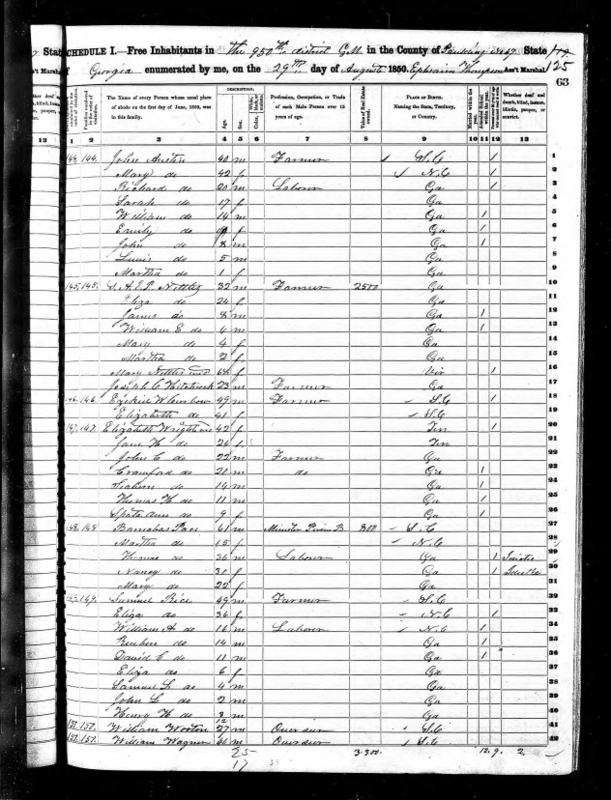 [S539] North Carolina Marriage Bonds, 1741-1868.